Raised gardens are a practical way to grow beautiful flower gardens or bountiful vegetable gardens.. There are many advantages that a raised garden has over conventional gardens such as they are solutions to size constraints, weeds are less prevalent and the quality of the soil is better. You can think of a raised beds as sandboxes for the big kid in you. 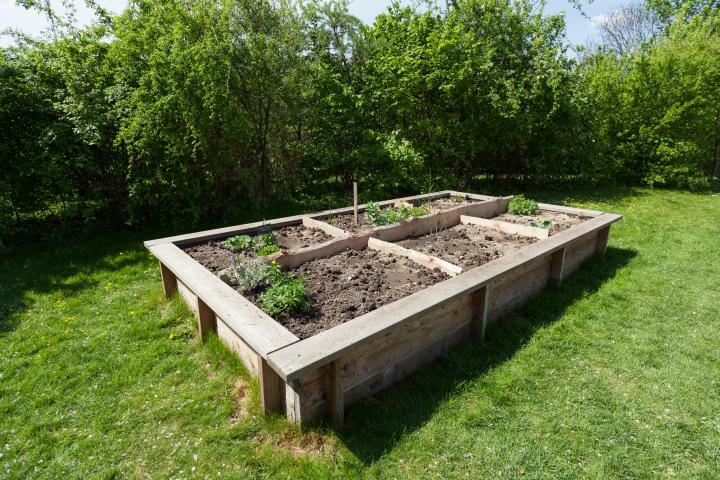 Raised gardens are constructed much in the same way as sandboxes are. You start with 4 edges, connect them to make a box and fill it with garden rich soil. Basically, the only difference between raised garden beds and sandboxes is what you use to full it in with. Landscape borders, timber and railroad ties are some suggested material to construct your box out of. Sandboxes are to be filled with dry sand where as a garden bed will be watered on a regular basis. This difference should be taken into consideration when choosing landscape borders to create your bed with. One great advantage to constructing a raised garden bed is that they produce more flowers and vegetables for a longer amount of time. This is due to the fact that they heat up faster and are able to produce farther into fall. This means that this eye appealing masterpiece will also be a profitable investment when it comes to your dinner table. With your pick of landscape borders, the perfect arrangement of flowers or the perfect mix of garden vegetables, your raised gardens will be beautiful additions to your landscape. You will be the envy of all your friends and neighbors.